Saudi Arabia severed diplomatic ties with Iran on Sunday, as tensions rose for a second day following the execution of a prominent Shiite cleric and subsequent attacks on a Saudi embassy and a consulate in two Iranian cities. The Saudi monarchy announced it would not allow Iran to undermine the Sunni kingdom’s security as the reason for the move, the Associated Press reported. Saudi Arabia executed 47 people this week including leading Shia Cleric Nimr al-Nimr, who was accused of inciting violence and was often critical of Saudi’s royal family. The execution follows years of antagonism between Shiites in Iran and conservative Saudi Sunnis, the majority of whom follow the strict Islamic sect of Wahhabism, Reuters reported. 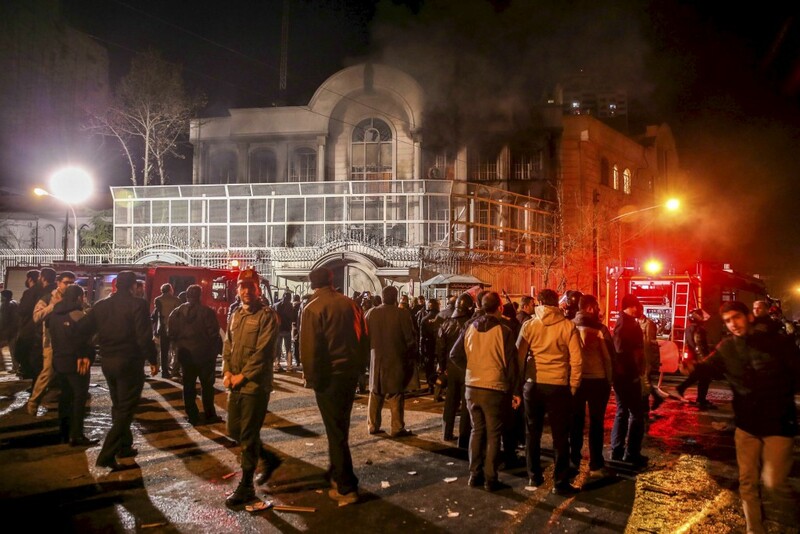 On Saturday and Sunday, hundreds of protesters attacked the Saudi embassy in Tehran and Saudi consulate in Iran’s second-largest city of Mashad. The U.S. State Department had called for calm and a deescalation of rhetoric between Iran and Saudi officials. 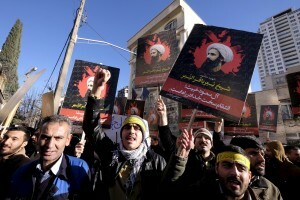 Iranian protesters broke into the Saudi embassy early on Sunday to protest the Sheik’s execution. The protesters destroyed furniture and started several fires before police removed them from the building, Reuters reported. Iranian state media also reported that some protesters used petrol bombs and rocks. Iranian President Hassan Rouhani said the the fire was “not justifiable,” also announcing that 40 people have been arrested over the blaze. Saudi Foreign Minister Adel al-Jubeir said Iran’s diplomatic envoy would have 48 hours to leave the country.